The University Heights neighborhood contains several easily accessible public transportation options. The area contains two Metro Rail stops, oneat the University Station, located at the University at Buffalo’s South Campus,and the other at the LaSalle station, located at LaSalle Avenue and MainStreet. The Metro Rail travels along Main Street in Buffalo from UB’s South Campus to the First Niagara Arena in downtown Buffalo. 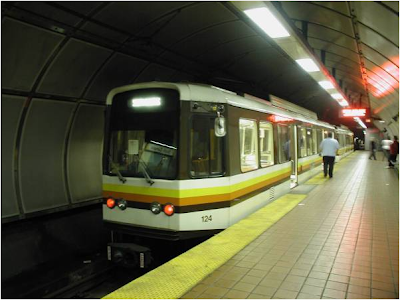 With daily rider ship of over 20,000, the Metro Rail is a proven asset to the community. The Metro Rail allows residents of UniversityHeights to travel to their place of employment, or provides access to one of Buffalo’s many entertainment districts, such as Allentown or the Downtown Theater District. Additionally, people who do notlive in the University Heights neighborhood can take advantage of the Park andRide option at both the University and LaSalle stations by leaving their car inthe parking lot (free of charge) and taking the Metro Rail to their finaldestination. Additionally,local residents also enjoy access to Buffalo’s Metro bus system. The Main Street bus line provides residents with access along Main Street from University Heights to downtown Buffalo. The location of the neighborhood also allows residents access via bus to the surrounding suburbs of Tonawanda and Amherst,as well as UB’s North Campus. The availability of both the Metro Rail and bus lines allows residents ofUniversity Heights the convenience of traveling to many destinations across the city and suburbs.